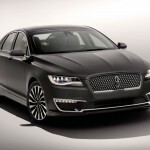 The 2017 Lincoln MKZ is its brand’s entry-level, mid-size, luxury sedan. 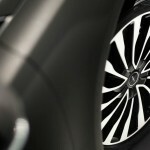 With a starting price of $35,170 for its Premiere trim, the car has a lot of new features for buyers. 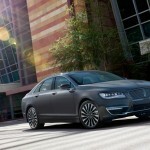 Appeal is the primary selling-point of luxury cars, and the Lincoln MKZ certainly does not disappoint. While the 2017 version is merely a facelift of the car’s second-generation model, it adds a lot of flavors to be desired by customers. Among the notable upgrades of the auto include the lighting system, front grille and set of 18-inch 5-spoke aluminum wheels. Going inside reveals the more advanced Sync 3 infotainment system and high-end leather surfaces that can be further improved when getting the more expensive Black Label variant offering more opulent leather upholstery, stitching and wood trim. 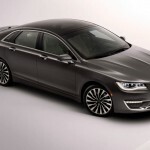 The Lincoln MKZ is packed with a 2.0-liter turbocharged inline-four engine capable of 245 hp. It is paired with a 6-speed SelectShift automatic transmission gearbox with paddle shifters. The range-topping trim raises the bar with its 3.0-liter twin-turbo V6 engine churning 400 hp. The suspension of the Lincoln MKZ has been updated to include the AdvanceTrac electronic stability control (ESC), Auto Hold, Electric Power-Assisted Steering (EPAS) and Continuously Controlled Damping (CCD). The new feature results to better maneuverability for the car, and more comfortable ride for the driver and the passengers of the vehicle. The things mentioned above are just a taste of what the most affordable version of the 2017 Lincoln MKZ has to offer. Buyers of the Premiere model who want more can get the hybrid or 3.0-liter variant of the car. Versions higher than the Premiere trim are available too, which further cater to more meticulous buyers or those who are searching for high-performance options. 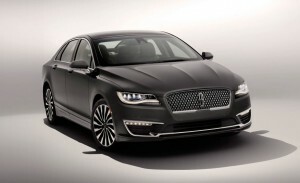 The other variants of the Lincoln MKZ are the Select, Reserve and the special Black Label models. 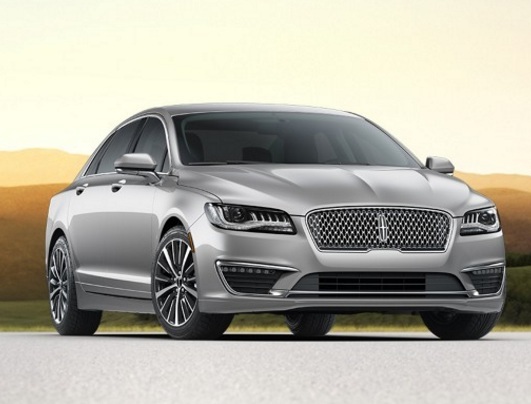 The good news is that the updated 2017 Lincoln MKZ’s base price is lower by $180 to $35,935. The bad news is that wanting the fully loaded version would set you back by $54,485. 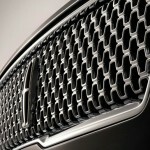 The most enticing piece inside the new Lincoln MKZ is the new 3.0-liter twin-turbo V6 engine. Then, there’s the new front end and a revised interior for 2017. These are all standards. The other options would be the new V6, as well as an all-wheel drive. There are basically four trim levels: the Premiere would cost $35,935; the Select, $37,685; the Reserve, $40,435; and the Black Label, $48,595. There would be two powertrains, and one of them would come in standard. Hopefully, the more powerful 2.0-liter turbocharged four-cylinder with 240 horsepower would win over the gas-electric hybrid drivetrain with a net power output of 188 horsepower and an estimated EPA combined rating of 40 mpg. 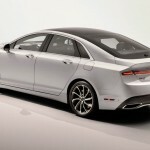 You can get the all-wheel drive for all trim levels for the MKZ turbo-four-powered cars for an extra $1,890. The hybrid, however, can only be in front-wheel-drive. Except for the Premiere trim level, all trims can get the 3.0-liter twin-turbo V-6 paired with a six-speed automatic. That would cost $2,750 extra for front-drive models and $4,000 extra for the all-wheel drive. 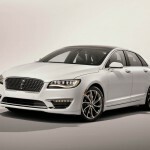 The current MKZ has a Ford Fusion-based chassis, but that shouldn’t worry you since Lincoln might offer a new Driver’s Package, which would cost $2,395 on the Black Label or $3,395 on the Reserve. This would bring some chassis tweaks such as stiffer suspension, GKN-supplied torque-vectoring system, 19-inch wheels, and a different grille. 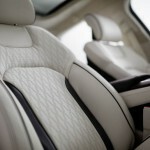 To add the Multi-Contour front seats, you would need to shell out an additional $595. 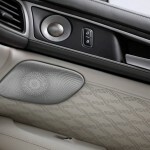 You can also get the Technology Package for $2,395, which would include a range of new gadgets. Want a panoramic sunroof? You can get that somewhere between $1,795 and $2,995, depending on the trim level. 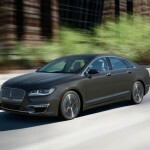 The MKZ will begin deliveries this summer while the bigger Continental will be on sale this fall.